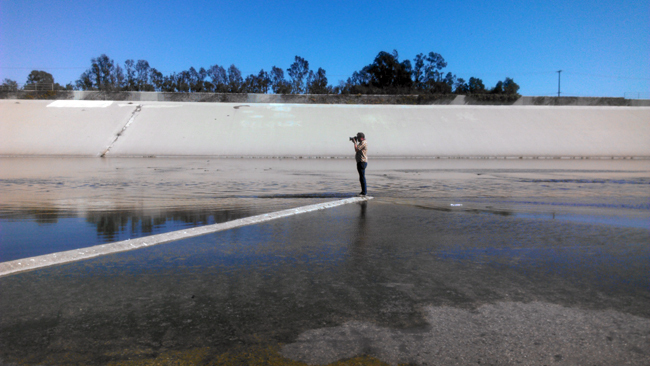 Heal the Bay CEO Ruskin Hartley discovers Compton — and that a river runs through it. At first glance it looked like a backdrop to an apocalyptic movie. To many engineers it’s a flood control channel. To some Southland residents it’s a place to pitch a tent and call home. Or a place to dump garbage too big for your trash can. But as I looked more closely I began to see a river, with life still flowing in and through it. Turkey vultures and hawks soared overhead while egrets, waders and herons picked their way up the channel feeding on tiny fish. Where the sediment built up, reeds and plants started to take hold and an ecosystem had begun to assemble — enriching the simple concrete channel and introducing an element of nature’s chaos. I was standing at the confluence of the L.A. River and Compton Creek. Compton Creek is the last major tributary to the Los Angeles River, and where I stood marked their merger, before they flowed into the Bay a few miles downstream. It was my first trip out to the river since I joined Heal the Bay three and a half weeks ago. I am used to watershed tours — having led visits in Northern California to some of the most beautiful primeval coast redwood and giant sequoia forests in the world. But this urban river was all new to me. And I soaked it all up as staff from Heal the Bay’s Healthy Neighborhoods, Healthy Environment program gave me a tour of the watershed and communities they’d been working in for the past decade. The goal of the Compton program is pretty simple — letting people know that there’s a river in their neighborhood that drains to the Bay and empowering them to protect it. For a decade we’ve been working alongside teachers, community groups and local nonprofits on projects that connect them to the river that for too long society has turned its back on. One hundred years ago this was one of the braided channels of the Los Angeles River. For the worst part of a century, it has been engineered and re-engineered to carry flood water as quickly as possible from the streets to the ocean — picking up trash and pollutants from city streets along the way. Finally in 2010, after years of advocacy by many groups, the EPA designated the L.A. River as a “navigable waterway” of the United States. That marked a turning point, with the flood channel becoming a river once more. It would now be subject to protections under the federal Clean Water Act. Of course, the ducks and birds and animals that had used the river were oblivious to that. There’s a lot of work underway around the river to clean it up and bring people down to its banks. And what’s good for the river is ultimately good for the health of the Bay. I’ll be learning more about all of that in the coming weeks and months. Yesterday was a chance for me to begin the process and to start to understand what watersheds are like in the context of a highly urbanized city. 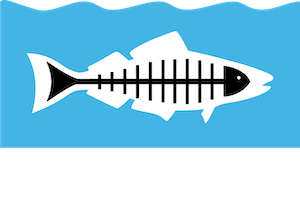 If you’d like to get involved in Heal the Bay’s work to connect inland communities to their watersheds, considering attending one of our volunteer trainings.